Periodically, certain trends influence Tollywood, leading to a number of films coming out on the same subject or theme. For example, a lot of cop dramas may come out one year while it could be political thrillers at another time. Right now, the hottest trend in Tollywood is to have a Journalist as one of the prime characters in the story. Take a look at some of the films gearing up for release soon. 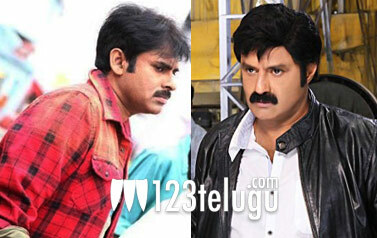 Nandamuri Balakrishna in Srimannarayana – Journalist. Pawan Kalyan in CMGR – Tv Journalist. We are getting reports that Nayanatara’s role in Rana’s Krishnam Vande Jagadgurum is that of a Journalist. Similar reports are being heard about Kajal’s role in Mahesh Babu’s film with Sukumar. With all these big flicks being shaped up around a Journalist, and a host of small budget movies as well, one can safely say that T Town is in the grip of a Journalist fever.